If you ever wished you could just do your taxes in Excel then you're in luck. Tax calculator creator Glenn Reeves developed Excel spreadsheets to prepare Form 1040 and related schedules back in the mid-1990s. Reeves has produced spreadsheet versions of Form 1040 for the years 1996 through 2017. As of the 2015 tax year, Reeves offers a full 1040 version in the .xlsx format that supports Schedules A, B, C, D, E, F, and SE. It also supports Forms 2441, 6251, 8949, 8959, 8960 and 8962. The spreadsheets are organized with tabs that allow you to enter data from your Form W-2s, Form 1099s and Forms SSA-1099. Tabs for Form 1040 appear after these data input screens, then there are tabs for other supporting forms arranged in alphabetical order beginning with Schedule A. Data input cells are formatted with a blue background, and the spreadsheet updates its calculations after the date is entered. Each tax form is formatted in the spreadsheet to look like the paper version of the form, which makes the spreadsheet visually appealing and easy and familiar to work with. All the worksheets are password protected. Excel1040 is pretty fast and easy to use, especially if you're comfortable using spreadsheets and you're familiar with working manually with tax forms. These spreadsheets a useful and quick way to calculate federal income taxes but keep in mind, the Excel1040 is for Federal income tax returns only, so it won't help you much with your state returns. Reeves also offers a "lite" version of Excel1040 in the .xls format, but it does not include support for Schedules C, E, and SE, or Form 6251. The spreadsheets are offered free of charge, but donations can be made to support Mr. Reeves' work on his website. Reeves recommends checking your Excel results against the results obtained when you do your taxes the old-fashioned way with Internal Revenue Service forms and instructions, although the spreadsheet does include some error-checking prompts. Reeves can't guarantee that the IRS will accept printed versions of his Form 1040, and even he says he uses his Excel program first, then he transfers the information over to file his tax return online. 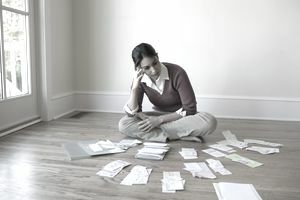 You might want to try Excel1040 out before your taxes are due so you're savvy with the program when crunch time comes. If you're a spreadsheet lover and find the Excel 1040 helpful, then you'll want to check Reeves' website for updates and new features in upcoming tax years. Reeves can probably be counted on to continue tweaking his product. Is the IRS E-File Option Safe? Choosing Tax Software: Basic, Deluxe or Premium?